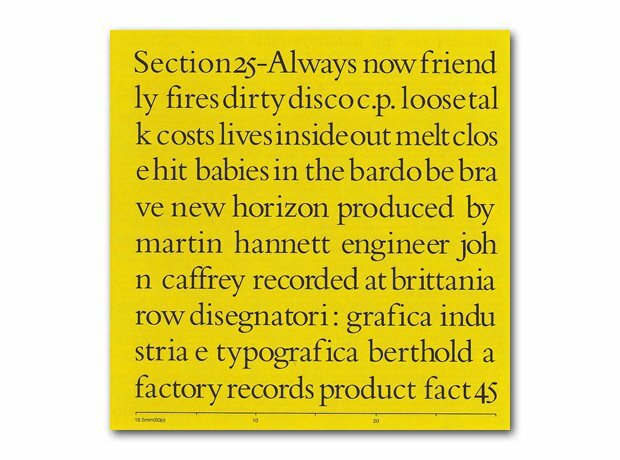 Yet more Factory Records-based nonsense, courtesy of Peter Saviile. The credits for the album are writ large in great big letters, while the INSIDE of the sleeve boasts a lovely marble effect. It was another extremely expensive sleeve for Factory and the music itself wasn't that remarkable.